Winemaking consultant Paul Hobbs has admitted he would “absolutely not” have predicted the international success of Argentine Malbec when he started working in the country 25 years ago. The US consultant, who had previously worked on the Mondavi-Rothschild collaboration Opus One, found himself heading first to Chile and then Argentina during the late ’80s to find a “new challenge” in these emerging wine regions. When he first came to work with the pioneering Catena family, Hobbs found that “Argentina had been growing Malbec for well over 100 years but without great success. Most Argentinians perceived the variety as being not high quality when I arrived, something you would use more as a base or a filler,” he told the drinks business. 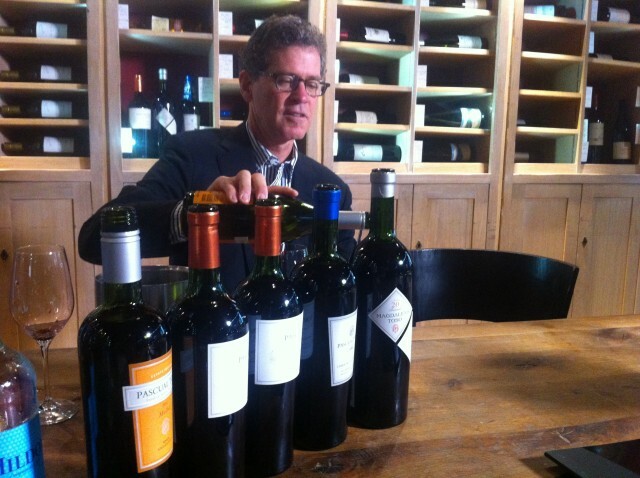 The variety was also a new experience for Hobbs, who admitted: “When I arrived I didn’t know what Malbec was; I had no experience with it in Calfornia.” Today Argentina remains a major focus for the consultant winemaker, who co-owns Malbec specialist Viña Cobos, as well as working closely for the last 12 years with Pascual Toso, where Malbec shares top billing with Cabernet Sauvignon. Despite this initial unfamiliarity with the variety, Hobbs soon saw a number of ways in which quality could be improved. “At that time the vines were not like today, but in the Italian style: very low to the ground so that the irrigation flooded them,” he outlined. Despite the “concerned” reaction at Catena, in 1992 it agreed to implement Hobbs’ recommendations of higher trellises and a more controlled irrigation technique than the flooding approach that was widely used at the time, a move which immediately cut water use by 75%. “Those changes suddenly made the grape far more interesting,” said Hobbs, highlighting the twin result of “a lot smaller berries” and “good concentration”. With a specialism in oak management from his studies at UC Davis, Hobbs also explored different maturation options to match this newly improved quality. As part of this he took advantage of 10 free barrels from Cognac-based cooper Seguin-Moreau’s operation in the US, which was keen to tap into the new business opportunities it saw developing in South America at this time. However, even with these dramatically improved results for Malbec, he was to offer a definitive explanation for the variety’s subsequent success, although he did suggest one likely source of appeal for the US in particular, which represents Argentina’s largest export market. A more in-depth look at the world’s most influential winemaking consultants will appear in December’s issue of the drinks business.